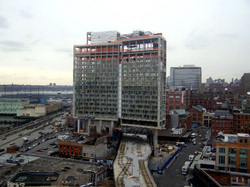 Atlantic Yards by Frank O. Gehry: we never liked it. It might be too big. It was a stadium for basketball, a sport we just don't care about and whose only reference point for us is "Madison" "Square" We Knocked Down Pennsylvania Station For This Pile Of Crap "Garden". It had open space on the roof that was accessible by only residents of a bunch of towers. But, it was Frank O., and it was glassy, and it was interesting. It would have densitized (densified?) a neighborhood, adding (more) life but also more traffic, congestion. It was going to amplify the city, this ever-pregnant corner of Brooklyn where it seems like something great should be built but is actually where nothing great has been built, and along with that building would be all the side effects that greatness brings: dirt, noise, change, conflict, and many messy conversations. In short, it was urban. I took a wait and see attitude: the drawings and models looked somewhat great, but it was difficult to understand how it was going to interact with Brooklyn. Folks were up in arms about it, but these days you have to judge these things for yourself, because what with the internet and all, folks yell about everything in this town, as if every concerned citizen is a self-appointed Jane Jacobs, and every little brick repointing project a city-destroying commission by Robert Moses. Judging for yourself: it is the very purpose of Tropolism. It is what Tropolism means. 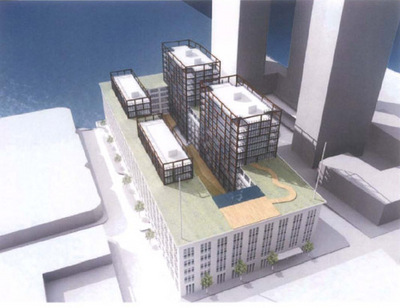 Watch as the Atlantic Yards Project unfolds, better drawings come out, the project makes its way through court, and something happens, so that you can find your time to weigh in. What happened you all know, or can easily find out: Gehry designed something awesome, the developer, Forest City Ratner, got all sorts of tax breaks and court victories, many riding on the fact that that particular design was going to be built. Then it turned out that design was too expensive, so Gehry redesigned it and it was less interesting. But OK so what, the central idea was still there, and it was still Frank O. 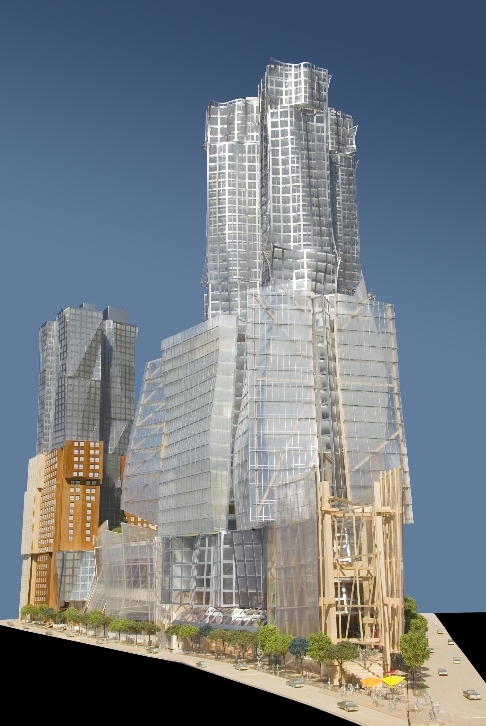 The recent replacement of Frank Gehry as the architect of the project isn't the problem with the new Atlantic Yards design, although Nicolai Ourousoff's reaming article would imply otherwise. Ellerbe Becket doing a super simple and cheaper-design version of Gehry's design would have worked just fine, given that they followed his floor plan and massing outlines to the letter. Instead, the project has simply been redone, shorn of its residences and shops and now it's simply become one of those deadening black holes in the city, just like "Madison" "Square" "Garden". It's a classic, bald-faced bait-and-switch, which is a cute New York way of saying that Forest City Ratner are crooks. They have stolen the public's patience and benefit of the doubt in exchange for their own personal profit. The effect of which is that this part of Brooklyn will be dumb and cold and dead until 2050 when some even more stupid gyration will have to happen in order to renovate the dumb thing that might get built right now. There is some crap glassy entrance so that yes 50,000 people or whatever can stream on through on their way to basketball a few nights a year, but nothing else except a huge box stadium. We get it. The roof looks like a basketball. This is the opposite of great architecture: this is cheeky architecture trying to get on our populist good side, while simultaneously sucking all the life out of our home city. There is no add here, only subtract: subtract money, subtract street life, subtract public conversation, subtract density. And our great omission has been to not bring up, years ago, that this was a possibility all along. That the devil in Gehry's plan was that if Gehry didn't do his design, and someone did even and almost-version of his design, then the effect would be this drek. Our apologies for being quiet. It won't happen again. The Chicago Spire, Santiago Calatrava's tower design that would have been the tallest building in the United States, had it been built, has been able to be referred to in the past tense for a little while now. 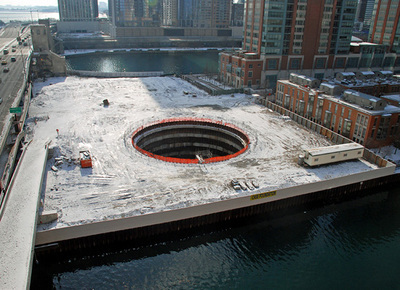 What we didn't know is that where it was to stand is now occupied by a large, round, hole in the ground. That someone built. 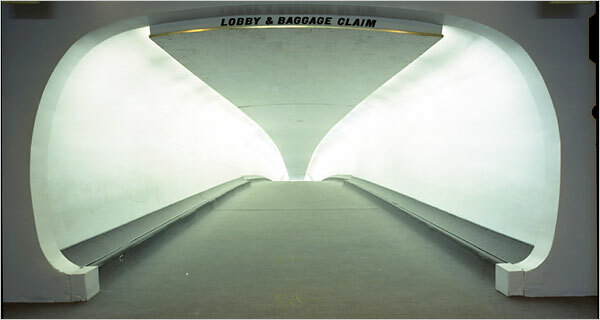 Oh, Chicago 2005. We still love you. After all, New Yorkers can't create perfectly architected holes. Our holes are simply messy construction sites for a decade or so. We'll respect you again if you find a good way to make money with the hole. I know I've been harping about this since I first got the idea for the Two Dozen list in 2004: the Roaring Two-Thousands created a lot of drek by designers because they were "designers", not because the designs were actually great. A lot of my writing has been focused on pushing designers to do better. What better opportunity for designers to really push design when all this money is sloshing around? Why not make things more efficient, more accessible, more inventively designed, and more beautiful, even if it costs a bit more? When the cycle downturns, we'll be happy to get scraps from the woodpile to make our stuff. Since September, most of us have been looking for that scrap pile. Michael Cannell over at The Design Vote wrote a great article in the New York Times encapsulating these sentiments, looking quickly (as in long-blog-post quickly) at where product designers and architects are going to go from here. 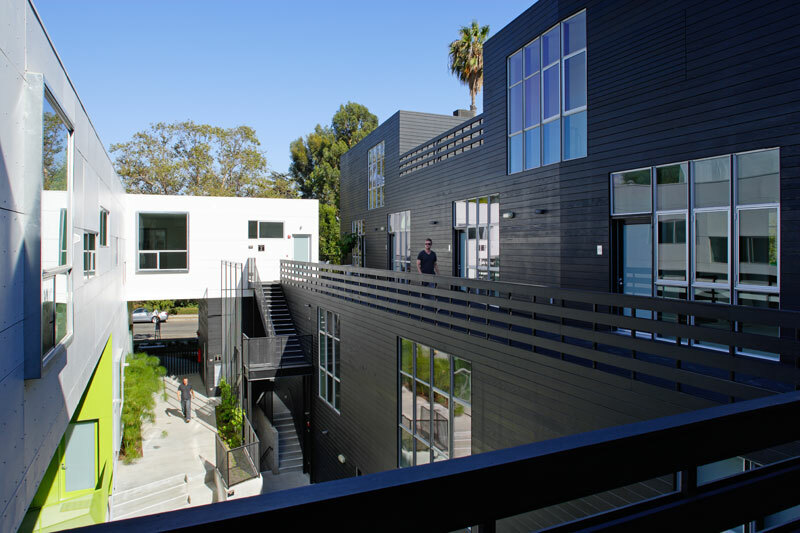 He champions sustainability in the production of goods and a good project by Lorcan O'Herlihy architects in Los Angeles that champions density over size of lawn. Welcome to the end of the decade, folks. We couldn't be more thrilled. File under density: New Orleans hosts yet another installation-heavy event this week with DesCours (pronounced like the cajuns do, not the Parisian pronunciation). The New Orleans AIA presents installations by 14 architecture/design firms, spread around the Quarter and Business District. They have a handy map of all the installations and an official bike rental company for getting around, too. This being NOLA there are of course a full schedule of related music performances. Time to party, again. 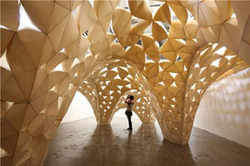 Pictured is Iwamotoscott Architecture's "Voussoir Cloud". 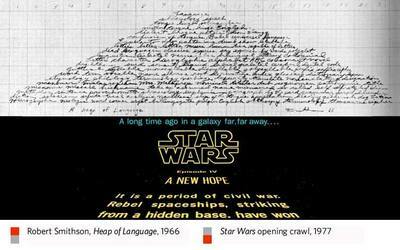 Our favorite Death Star artist John Powers has posted a fascinating essay about Star Wars, Minimalism, and Modernism called Star Wars: A New Heap over at triplecanopy. 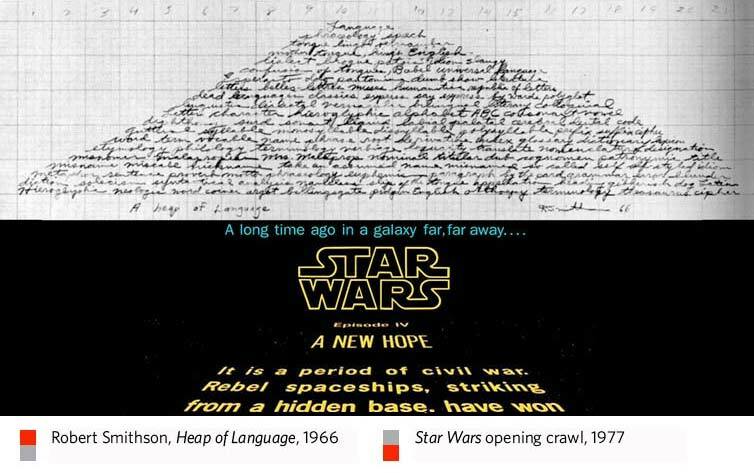 This goes beyond his wonderful visual associations (like the original Star Wars text crawl and Robert Smithson's Heap of Language from 1966) and does research into the origins of the aesthetics of Star Wars, placing them squarely in the contemporary art of the late 1960s, including hard connections like the creative team from Stanley Kubrick's 2001: A Space Oddessy, who were in turn tightly connected to Minimalist and Modern Art. In 2005 I fleshed out an idea I first proposed in 2004: that a slew of midsized residential buildings would be built, all designed by celebrity architects. And so the Two Dozen List was born. The mid 2000's in New York City have seen a unique confluence of money, skyrocketing real estate prices, hyper-demand, and cheap credit. The competition between developers, combined with a rise in interest in architectural design by the general public, has led to the hiring of our beloved celebutantes as brand novelties to distinguish one development from another. The moment is now passing: credit is tight, leading to projects down the pipeline being shut off. While the competition for buyers will certainly continue, it is likely that high-priced talent, or at least the famous names, will not be invited to create design masterpieces quite as often. The similar size, shape, and sites give us a unique opportunity to compare these talents, and ask some great questions. How powerful were these architects in the development process? How well did they redefine what is possible in this context? How many boundaries did they push? How did they approach, and solve, the great problems of the New York Skyscraper: the slab and the curtain wall? I will post my personal version of this list this week. 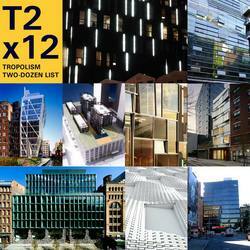 Tropolism will begin to review the projects on my list that have not been reviewed to date. In addition, guest writers will post their own lists, here and elsewhere. Finally, we invite you to submit your own entries for a reader's choice list, which will of course be published here. Enjoy! Koolhaas and OMA have officially lost their marbles. One of them found its way into the new design for Dubai, as a Death Star like 44-story sphere floating on the water. This kind of lunacy we can respect. Mr. Ourousoff gives us the details. Over the weekend Daily Dose pointed us to the crazy-wavy Chicago building called Aqua, which, despite its so-so renderings, is turning out to be completely awesome in real-life rendering. Also known as reinforced concrete. 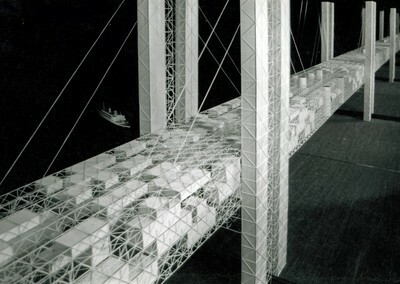 The construction photos remind us of a love child between Harrison's swoopiness at NYC's Metropolitan Opera House and Bertrand Goldberg's Marina City. Complete with plinth holding the waviness above the city grid. The project was designed by Studio Gang Architects. Check out their website for more pictures, including a great inspiration picture of an eroded boulder and some more construction photos. This may be an example of the built work being better than its renderings. We have long known about the conferences sponsored by Urban Age, but only recently did we discover their wonderful website. It's a handy repository of all the data generated do date from their conferences and research. Some of this work undoubtedly shows up in their new book (note to Phaidon: send us a review copy already), but it is irresistible to flip through it online. Not only do they have pretty, if simple, comparisons of basic information of their key cities. They also have some extensive raw data from each city collected in both PDF and protected spreadsheet formats. Happy reading. 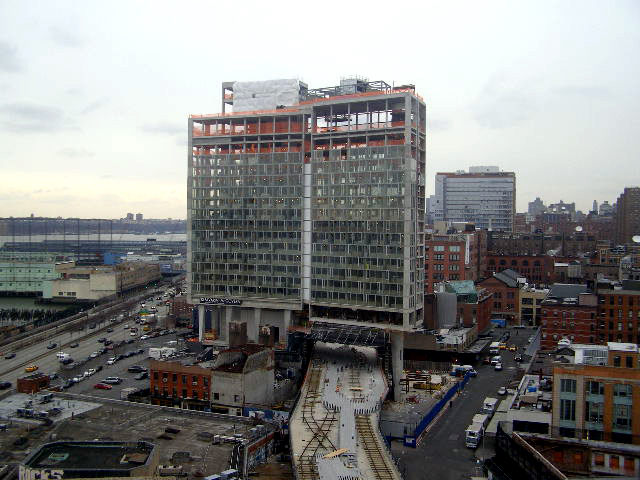 New York City's Standard Hotel, the gorgeous building going up in New York City's Meatpacking district, proudly straddling the High Line as it rises, now has a website to match the building's awesomeness. The construction photo updates every 15 minutes. Back when we last checked in on Moynihan Station, Madison Square Garden was all set to cross 8th Avenue and devour a second McKim, Mead, and White building. Then...silence. The proposal seemed dead as the previous governor wrapped up his administration. An article in The New York Observer gives us an update on what's been happening since election day, when we got a new governor. The new governor is a bit more enthusiastic about these projects, and has appointed a head of the Empire State Development Corporation that is interested in not only developper good, but hey, the public good as well. 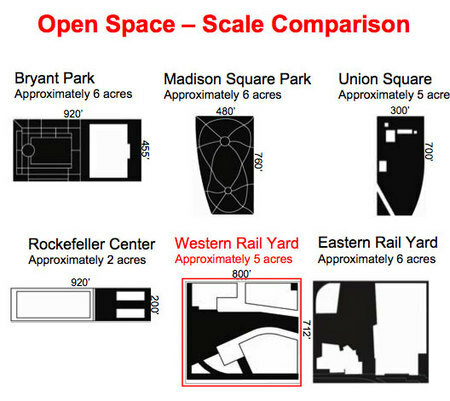 At least his reaching-out has temporarily addressed concerns by the New York Landmarks Conservancy, one of the groups opposed to the developer plan B for Penn Station. The devil is always in the details, or in this case, the large, open, sunlight filled public rooms, and so we await developments with baited breath. Today's New York Times reports about the development of WTC Towers 2, 3, and 4. Employees of Foster, Maki, and Rogers are sharing a single, huge office space on the 11th Floor of 7 WTC, opened three weeks ago. 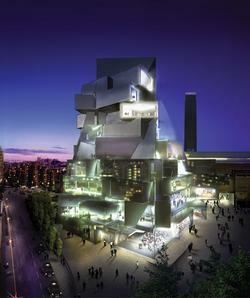 The super studio also combines engineers and the lone architect of record for the project. In short, Silverstein (A master planner for the 21st Century? Urban heir to Robert Moses?) has created what no agency, competition, public comments hearing, or collaborative not-for-profit study has been able to produce: a working, collaborative effort. 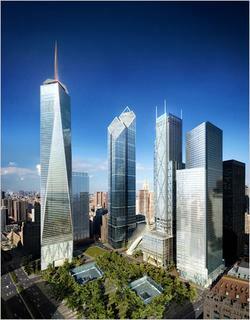 It's the single brilliant thing to come of the WTC site. 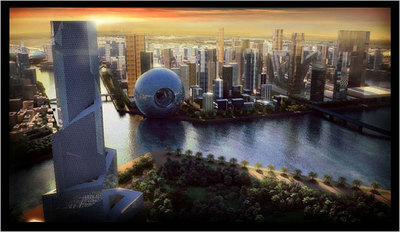 Because of this turn of events, our first-glance gloomy estimation of the towers' design now appears to have been hasty. We've changed our assessment to "intriguing enough to wait for more information". The New York Times is nothing if not consistent. 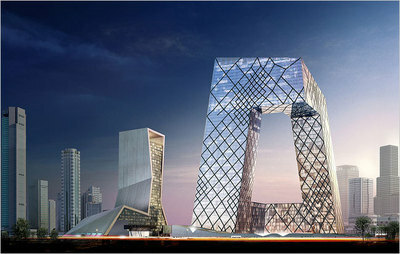 Another article on OMA/Rem Koolhaas? Send in Robin Pogrebin for more softball pitches. The article on the MoMA show about OMA's new buildings in Beijing does give us a sense of what to expect with the show, but as usual provides little illumination on the building beyond what the architects practiced to say about it. Apparently, when an architect says they are building a fun palace, you just put it in quotes and hope someone else gets the reference. If it's a reference. You thought we'd gone away, didn't you? Well, to dispel that impression, we point you to what may be the best candidate for the Two-Dozen List since we knocked Blue to the very bottom: Arquitectonica's 184 Kent Avenue, which we think is not in Manhattan. The severe knocking Arqui took from their completely lame pomo Westin Hotel (which we mention at #24 in our List, as an example of how Blue was going to look) probably gave them the inspiration to shed the garish South Beachitecture and look at other forms of inspiration. In this case, they went straight to the heart of the lion: Mies' IIT, on top of a factory roof in, er, Brooklyn (we think). We think the results are lovely, and reminiscent of SHoP's Porter House. 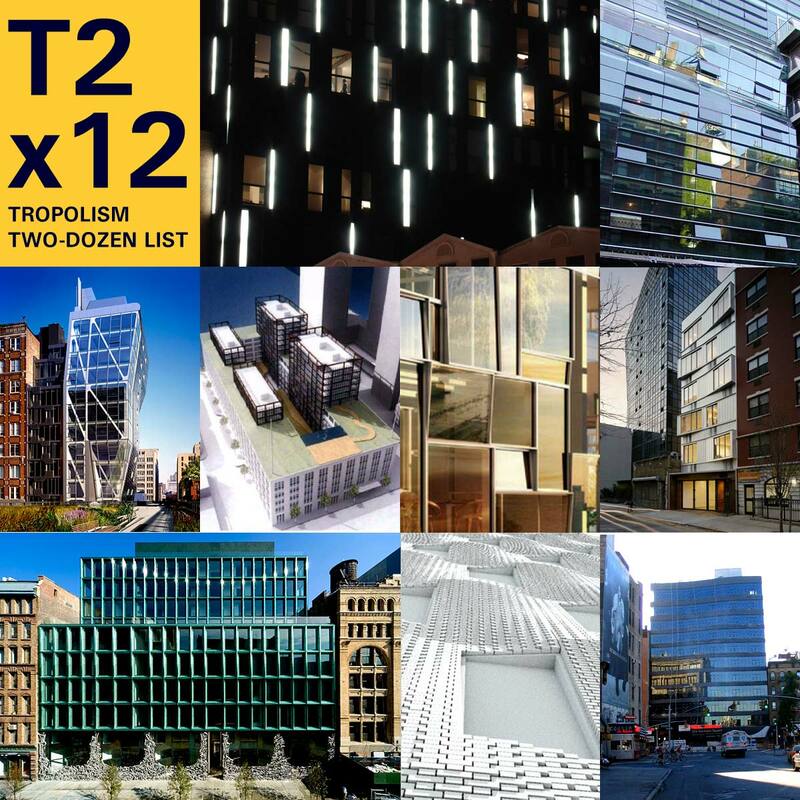 Arqui's project lands somewhere in the middle of our list, let's say #11 or so. We are going to update the list, and include a couple of more wicked smart projects we've been holding off posting about. 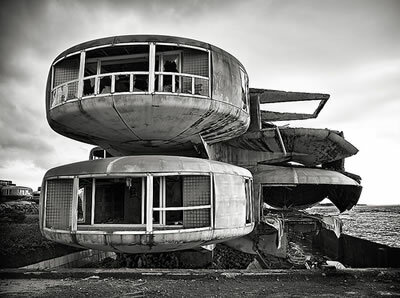 As a comparison to the faux pods being drooled over over by New York's real estate mavens, we draw to your attention super-cool actual pods, now abandoned, on the outskirts of Taipei. As our friends at Tranism note, "if this existed somewhere in United States and were to be redeveloped, it would probably a cost an arm and leg to live in". We'd buy one, even if they were in the Hamptons. Tropolism means addicted to density. 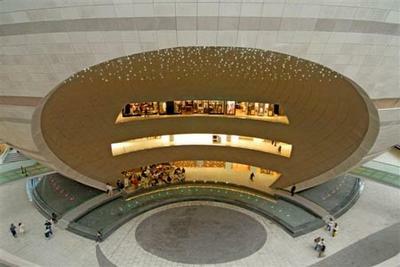 Our publisher's site, Coolhunting, has caught the bug too and posted about Kanyon, a Kompletely Krazy development in Istanbul. We were guessing either the middle of the New Mexico desert or the United Arab Emirates before we read the text. What interests us about this project is that its description fits any number of megavelopments around the world: Roppongi Hills or The Time Warner Building, for example. 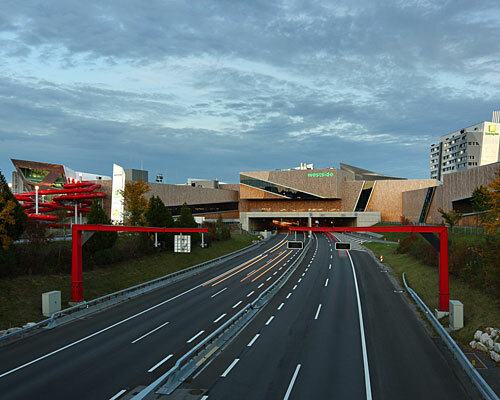 Yet the project strays far from the typical envelope of vaguely-modern and safe architecture of these examples, and instead leaps directly into space-station fantasy urbanism. While its connections to the rest of the urban fabric don't appear very fluid (in fact, it appears pretty secluded), the mega-building would sit well with anything dreamt up by OMA or John Portman. 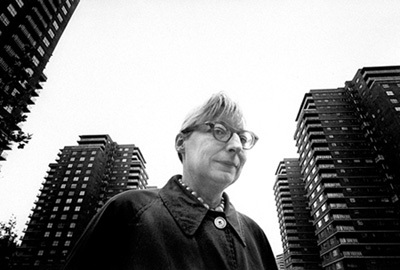 Jane Jacobs died this morning in Toronto. Tropolism has mentioned her only once, but in one of our favorite entries. So much has been written about her, it seemed hardly necessary to mention her hovering over everything we do. Yet it goes without saying that a movement like Tropolismo would not have been possible without her brilliant contribution of intellectualism and urban activism. She not only changed the course of New York City's development, she inspired us to love urban life. We point you to 15 Best Skylines in the World for two reasons. First, we are encyclopedic compeletists who are easily seduced by pretty pictures and who love lists, even if the lists are willfully incomplete. Second, we live in New York, and are total skyline snobs. Tropolism means tough love begins at home, and my therapist and I are working hard on this issue. In the meantime, we are bewildered. While it may be acceptable by some measures to put Chicago's skyline above New York's, particularly now that we are without a few of our tallest buildings, we want to share our dismay at some of the additions. Seattle (we love Seattle, but it's like the woods with a few buildings, ya know?). Toronto (the CN Tower does not a skyline make). We're just thankful Pittsburgh and Dallas (what, no Albuquerque or Los Angeles?) got pushed below the Honorable Mentions line. Sorry, we skipped an episode of the Madison Square Garden Relocation series. We left you at Episode IV. For those of you that missed it, Episode V included a memorandum of understanding being signed by Cablevision (owner of MSG), and Vornado and Related, all but sealing the deal to move the Garden to be part of the former Post Office but soon-to-be 21st Century rail hub. The lights dimmed as everyone cackled. This week's installment includes a heady dénoument: the memorandum was NONBINDING. And so there are now two to five celebrity architects involved, two real estate companies, one stadium-owning company, and probably about a dozen state and federal government agencys who will duke it out to see what gets built and who will design it. Tipped off by the even more annoyed Curbed. One thing we aren't annoyed about: even though we still aren't convinced of the MSG as part of the rail station idea (does anyone else have a big HUH? 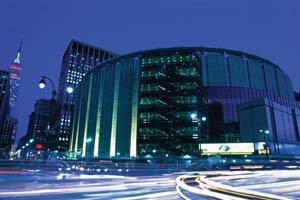 around this), we would love to see them tear down the existing MSG. We've totally gotten thrilled about that part. 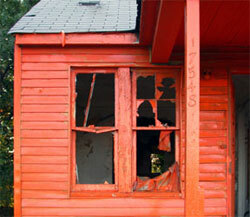 Land+Living has an extensive piece on Detroit Demolition Disneyland, an Anonymous group who has begun covering abandoned structures in gallons of orange paint. The great thing about the action taken on these buildings is that is allows us to see what we normally would not: that the status quo in Detroit is decay. It seems to me that this public action can bring so much more weight and meaning to the problems in Detroit, rather than constantly repeating the words Sprawl and Revitalization. Over the course of one night these Orange buildings become a place again, instead of a place that used to be. DDD's work reminds me of Group operating in Los Angeles under the name Heavy Trash. They also have an affinity for the color orange, and are helping us see what normally we would not. I highly recommend checking out Google Earth for Detroit. The extent of urban decay visible from the sky is almost unbelievable. 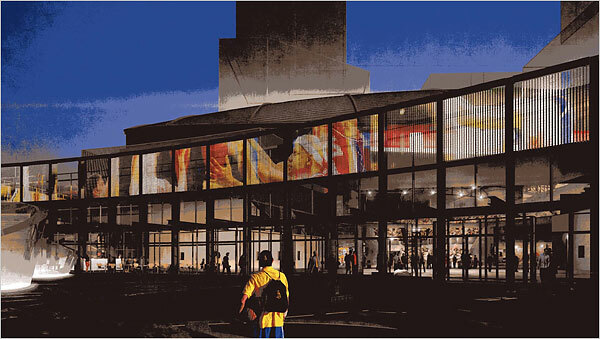 Our friends at Archinect report that Ken Smith has been awarded the title (prize?) of Master Designer of the Orange County Great Park. His takeover of Manhattan, now complete, he has skipped to the other coast to begin a bi-coastal strategy of national takeover. Next stop: the Heartland! Of interest is the two-part PDF of his team's entry. It is densely packed with great information, and represents how his quirky imagination is supported by a deep respect for great public space in America. It's worth a read. Las Vegas is stripping away its fabulousness and trying a bit of modernism/urbanism. It's a free-for-all, in very many ways, which makes this project unique from the other free-for-alls. 1. 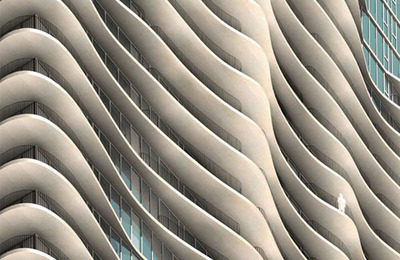 The developer thinks that architecture is a brand. 2. Brand-name architects are designing the "exterior architecture", and no one is mentioned as designing everything on the inside. 2a. The exterior has been branded. 2b. So totally perfect that they contacted Denise Scott-Brown. 3. The master plan attemps to create a walking, urban patch of density. 4. The architects have no idea how visitors to Las Vegas will react to Urban Density, set within Casino Density.